(Cleveland)- Even with no contested local races on the ballot, Tuesday White County Voters turned out to cast ballots and help push voter numbers to the second highest in history. 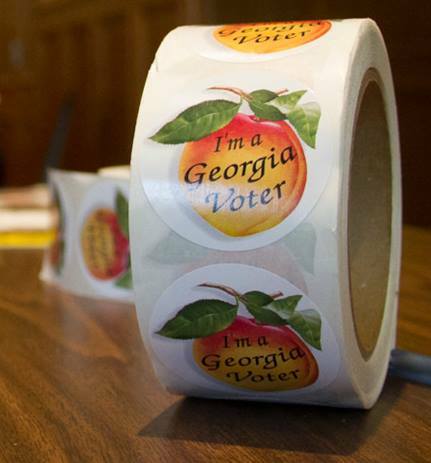 A total of 63.23 percent of the counties 18,140 registered voters cast ballots Tuesday and in the early voting. White county election superintendent Garrison Baker said it was the second only the 2016 General Election. ” Percentage of turnout here tonight is 63 percent so when you stop and consider that, we’re just 400 votes off the highest turnout we’ve ever had in the county, so this was the second highest turnout in 36 years vote total wise maybe not percentage but it was remarkable to see this kind of interest in a midterm election, ” said Baker. Even though there were no local candidates with opposition there was a referendum on the continuation of the Special Purpose Local Option Sales Tax in the county that measure was easily approved by a 64 to 35 margin. White County Commission Chairman Travis Turner said he sees that vote as approval of how the county is spending those tax funds. ” I interpret the solid support for the SPLOST to mean that the citizens of White County have seen how the county has spent that extra 1 cent sales tax over the years on our capital projects such as road paving, parks and rec, emergency equipment for our sheriff’s department and fire department,” commented Turner.